Kamaru Usman dominates his way past Tyron Woodley to win the welterweight title. The two fighters met in a welterweight title bout at the UFC 235 pay-per-view event from the T-Mobile Arena in Las Vegas, Nevada. From round one to the finish, it was all Usman. 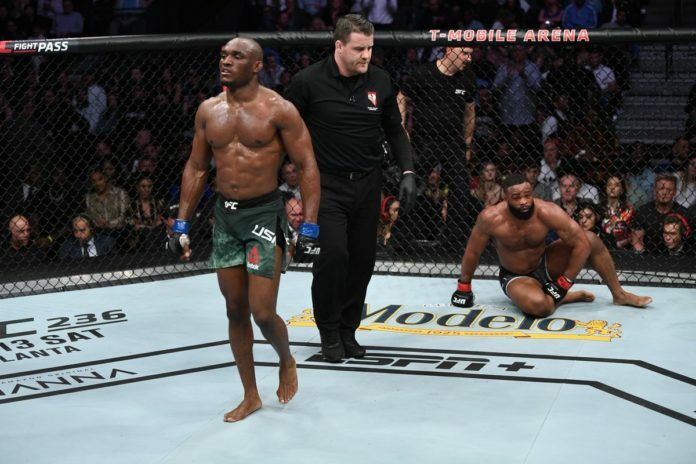 In the fourth round, they had a brief wild brawl but aside from that, Usman put on one of the best performances in recent memory from someone fighting Woodley. Usman’s wrestling skills paid off and he’s the new champ. MMA News is providing ongoing coverage of UFC 235. We’ve got you covered with live results, video highlights, and post-fight tidbits.